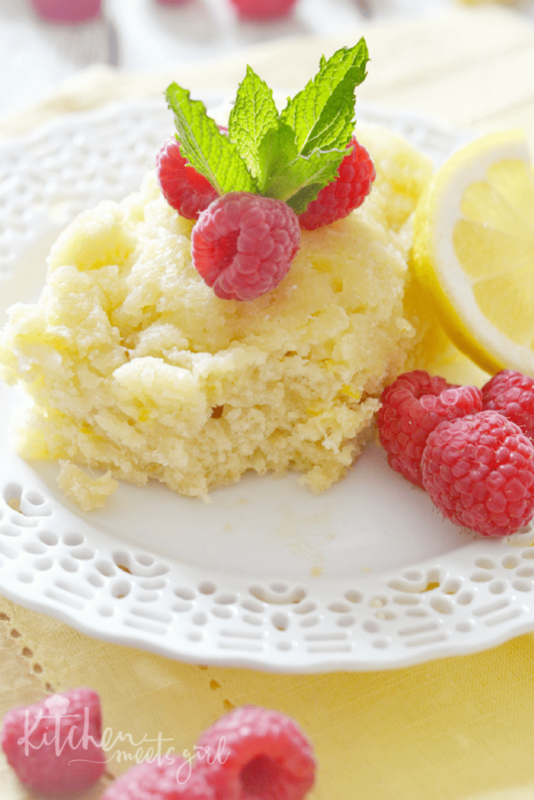 This Slow Cooker Lemony Cake is perfectly is the perfect combination of tangy and sweet. Serve it warm right out of your slow cooker – you can garnish it with whipped cream and berries, but it’s just as tasty on its own! 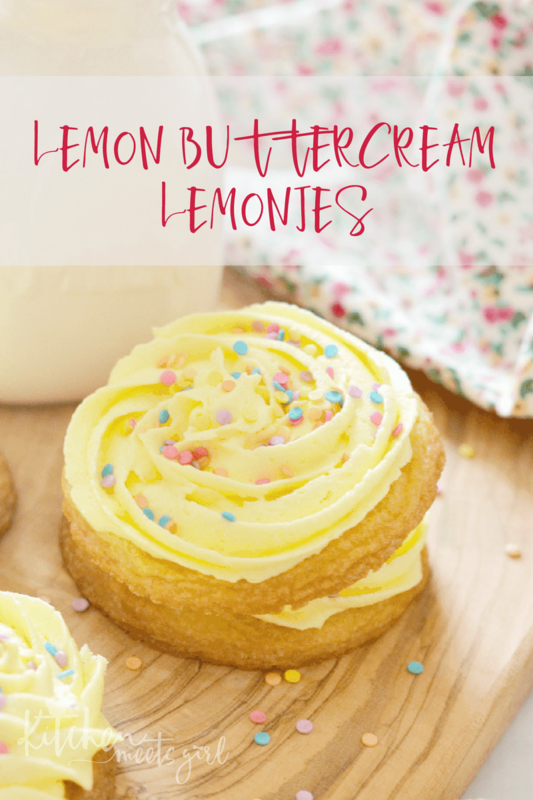 I guess it’s lemon week around here, considering I just posted Lemon Buttercream Lemonies a few days ago. What can I say, spring just says lemon to me! But since it’s spring and the weather is finally warming up, I’m ready to start spending my evenings and weekends outside doing fun stuff – instead of being cooped up inside the house. 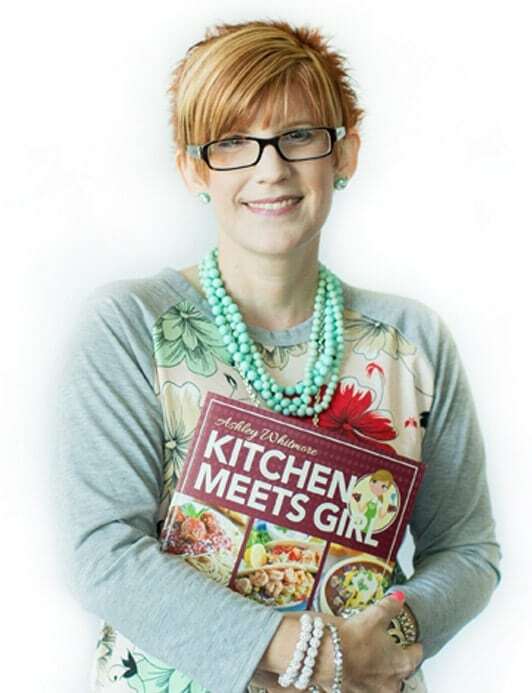 By the time late March/early April rolls around, I’ve had it with winter weather and want to cook all of our meals on the grill and sit on the deck. 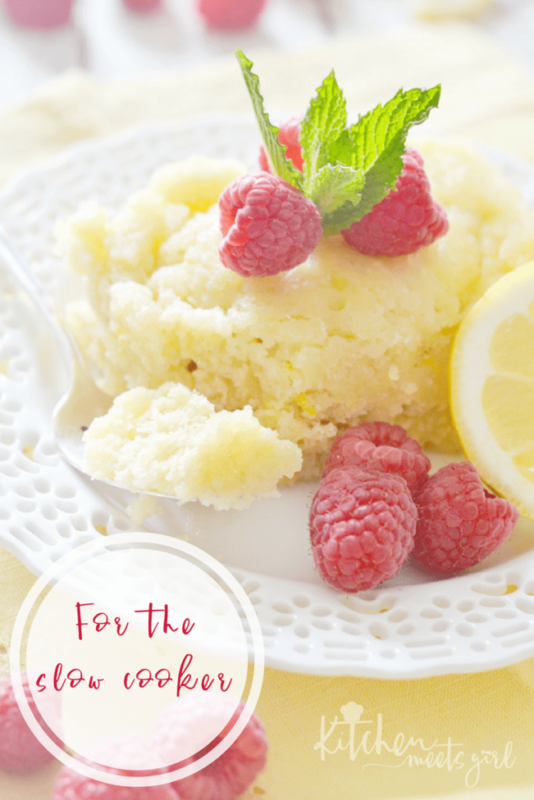 So…if we grill out and I make a dessert in the slow cooker, then I’ll have spent nearly zero time in the kitchen and we have a fabulous meal from start to finish. Bam! 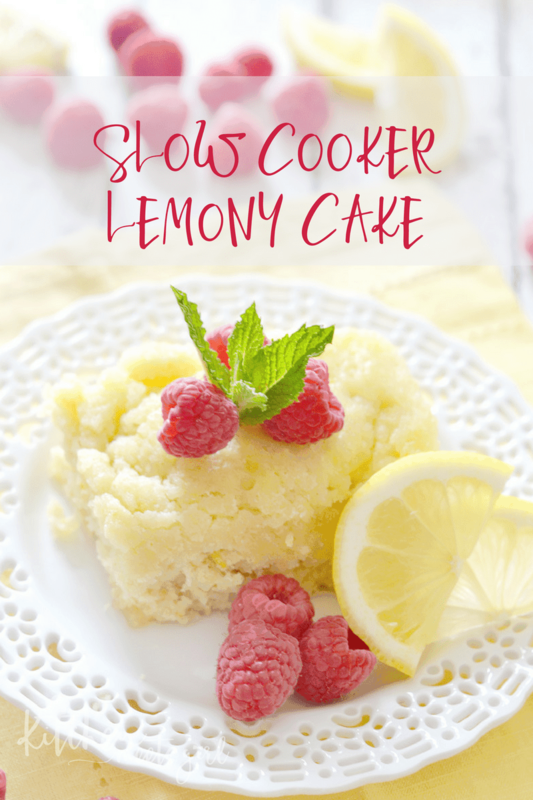 Slow Cooker Lemony Cake! you need this cake in your life. 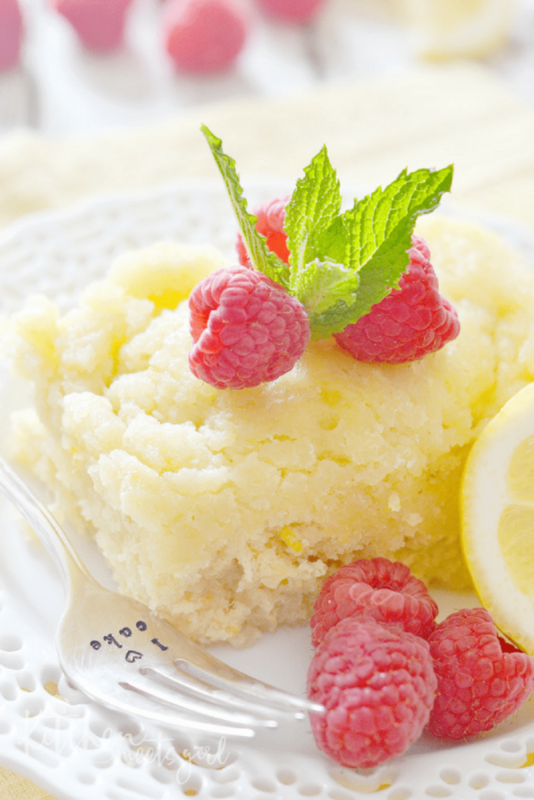 This Slow Cooker Lemony Cake is perfectly is the perfect combination of tangy and sweet. 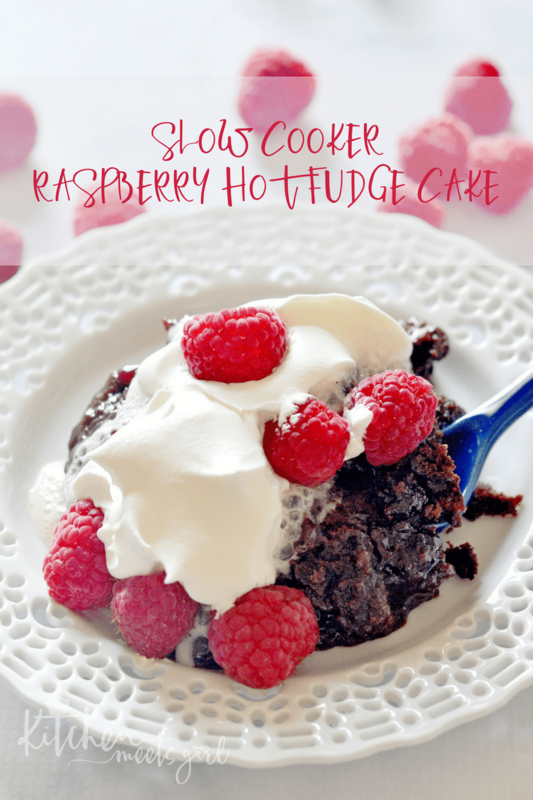 Serve it warm right out of your slow cooker - you can garnish it with whipped cream and berries, but it's just as tasty on its own! Sift together flour, sugar and baking powder in a medium bowl. Set aside. 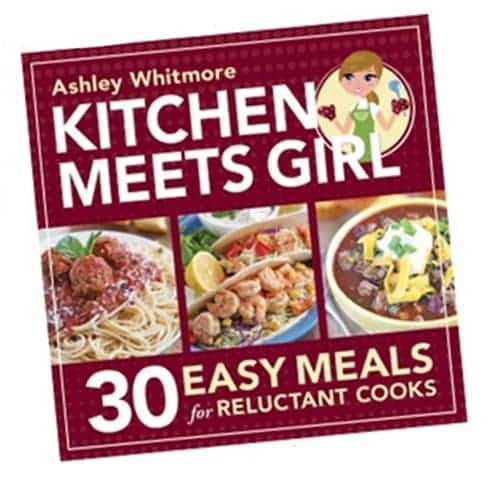 In a large bowl, combine ½ cup butter, half and half, 2 tablespoons lemon juice, lemon zest and egg. Whisk ingredients until well combined. Add flour mixture to egg mixture and stir to incorporate. 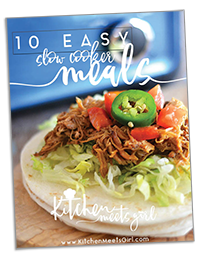 Spray the bowl of a 3 to 4-quart slow cooker with nonstick cooking spray. 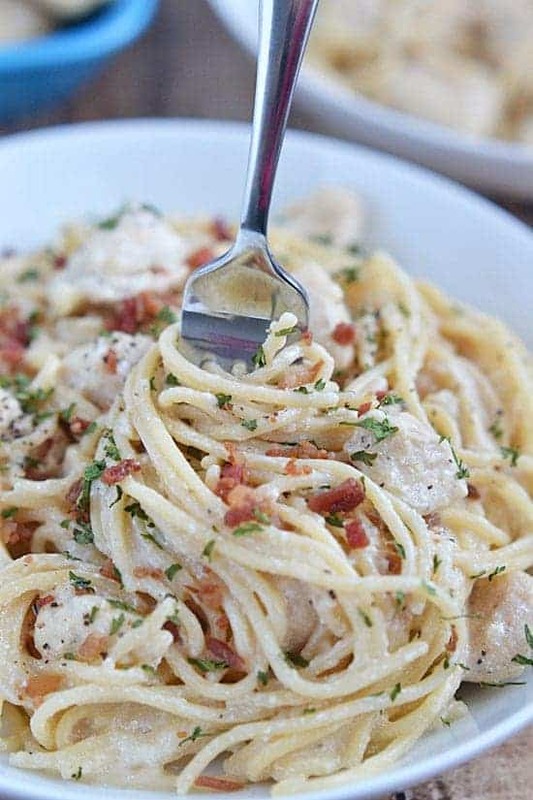 Spread batter into slow cooker. Combine all topping ingredients in a small bowl and then pour over cake batter. Cover and cook on high for 1 11/2 to 2 hours, or until a toothpick inserted into the center comes out clean. Spoon cake and sauce into serving dishes. 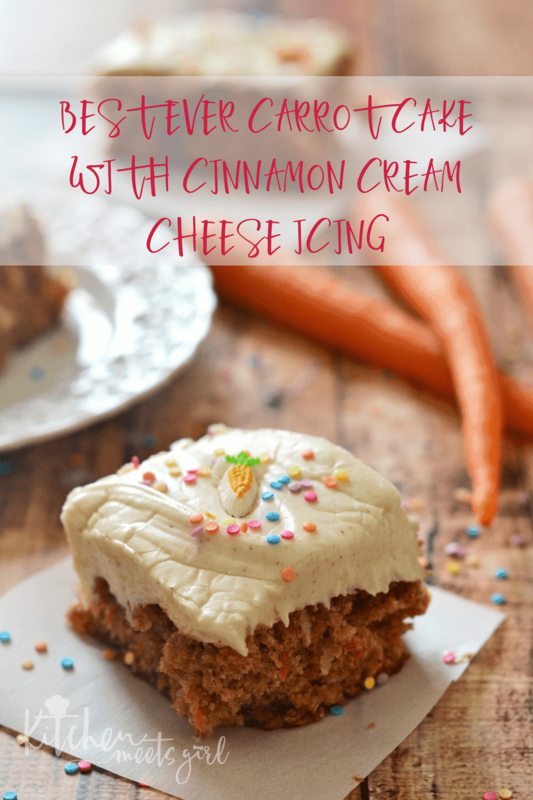 You might like these spring desserts, too!